A short update with a passage on St. Joseph for his feast day today. Thoughts on the problems in the Church today and how this Universal fix-it guy, (tekton in Greek), can help today.Should we get back to greeting each other with "Praised be Jesus Christ!"? What to do if you are in an area with no good options for Mass and Sacraments.On the idea of short episodes, and devotionals. Should we put them all here, in this podcast show -- or would you like them separate? A short update with a passage on St. Joseph for his feast day today. Thoughts on the problems in the Church today and how this Universal fix-it guy, (tekton in Greek), can help today. Should we get back to greeting each other with “Praised be Jesus Christ!”? What to do if you are in an area with no good options for Mass and Sacraments. On the idea of short episodes, and devotionals. Should we put them all here, in this podcast show — or would you like them separate? This article, On St. Joseph, Updates, and Another Podcast Feed for Shorts or keep it all together? 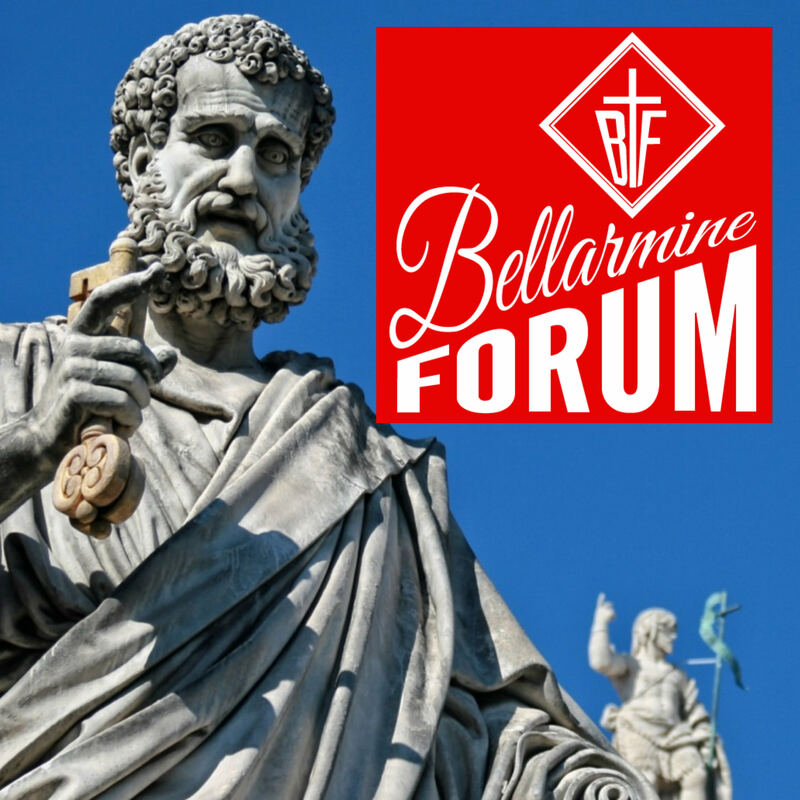 BFP012 is a post from The Bellarmine Forum. I very much appreciated your remarks about the anger, or as you called it “outrage mongering,” that exists among too many in the media. After being completely worn down by our national news broadcasters, I unfortunately experienced the exact same beat-down from our “catholic” broadcasters. The latter impacted me much worse, however, as my expectation was less nastiness and vitriol and more authentic catholicism imbued into the reporting, analysis, and commentary. But, nope, not in today’s world! And yes, that discord and discontent most definitely pours over to the audiences. Thus, like you, I realized we must turn the nonsense off and turn towards Christ – all day every day – via the Sacraments, devotionals, sacramentals, and penance. Now, I persevere in tranquility. Now, I remain sane despite the chaos! Thank you for sharing the same! Feedback on format: while I understand why you are considering different options, I have no personal preference. Feedback on content: You often tee up topics which you state merit further exploration, so … bring it! (And, don’t feel obligated to record lengthy episodes or you might never make them.) As a listener, I appreciate your perspectives; I always learn something; and I leave each episode looking forward to the next. Thank you! Awesome! Thanks be to God! Landon and I will be sitting down later this week to talk about the State of the Church… I’m not even sure what all he has cooked up for this so it’ll be fun! Sister Rita Marie and I keep threatening to make another – she’s a firebrand!